Most research in the life sciences involves a core set of molecular-based equipment and methods, for which there is no shortage of step-by-step protocols. Nonetheless, there remains an exceedingly high number of inquiries placed to commercial technical support groups, especially regarding problems. Have you selected the most appropriate research strategy? Have you identified the issues critical to your successful application of a technique? Are you familiar with the limitations of a given technique? When should common procedural rules of thumb not be applied? What strategies could you apply to resolve a problem? 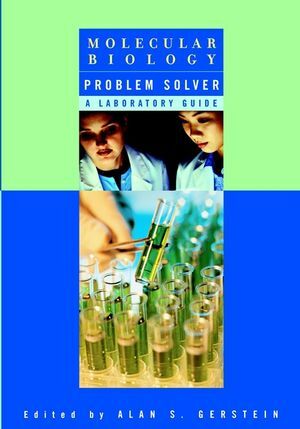 ALAN GERSTEIN and his collaborators have been guiding researchers of all levels of expertise through the troubleshooting process over the course of three decades, assuring that Molecular Biology Problem Solver will prove an excellent resource for all life scientists. Preparing for Success in the Laboratory (P. Franciskovich). Getting What You Need from a Supplier (T. Tyre & G. Krueger). The Preparation of Buffers and Other Solutions: A Chemist's Perspective (E. Pfannkoch). How to Properly Use and Maintain Laboratory Equipment (T. Troutman, et al.). Working Safely with Biological Samples (C. Haidaris & E. Brownlow). Working Safely with Radioactive Materials (W. Volny). RNA Purification (L. Martin, et al.). Restriction Endonucleases (D. Robinson, et al.). Nucleotides, Oligonucleotides, and Polynucleotides (A. Gerstein). Nucleic Acid Hybridization (S. Herzer & D. Englert). E. coli Expression Systems (P. Bell). Eukaryotic Expression (J. Trill, et al. ).